Born in Littleton, CO, and a 2003 graduate of Gaylord High School, Gaylord, MI, Staff Sergeant David Day enlisted in the Marine Corps in September of 2003. He began his career as a rifleman but later was assigned to 1st Recon Battalion’s Recon Indoctrination Platoon, as well as 3rd and 1st Recon Battalions. SSgt. Day was chosen Team Leader of the Year while serving with 3rd Recon Battalion. He switched his occupational specialty to Explosive Ordinance Disposal in February 2009 and joined MARSOC later that same year. While conducting a brief with Team 1, Fox Company, on April 24, 2011, the on-site Afghan National Army requested SSgt. Day’s assistance in neutralizing a pressure plate improvised explosive device. The device detonated before SSgt. Day could disarm the IED. SSgt. Day’s personal decorations include a Bronze Star with combat V, Purple Heart, Navy-Marine Corps Commendation Medal, two Navy-Marine Corps Achievement Medals, two Combat Action Ribbons, and two Good Conduct Medals. SSgt. 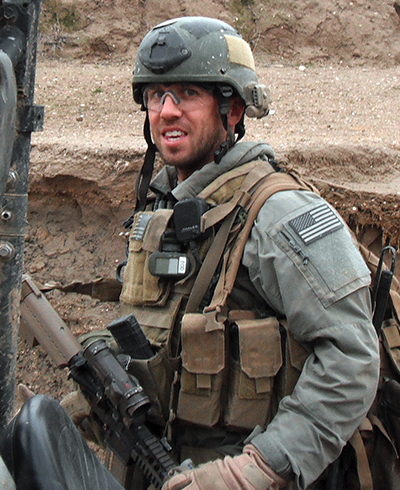 Day was posthumously promoted to Staff Sergeant on April 24, 2011.